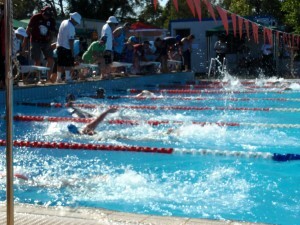 Hi, should my highly competitive 10 year old take a break from swimming? What are the benefits of taking say 4 weeks off in the winter season, contrasted with swimming all year with only a couple of short one week breaks? Would a shorter break of say two weeks be better than 4? She doesn’t want to stop swimming – she loves it and wants to train as much as possible as she thinks that will help her swim faster. She normally trains 4 times a week for swimming. She plays and trains for netball and basketball many times a week and runs once a week most weeks as well, so she is pretty fit. Where can we find out more information about how much training she should be doing? Hi Leanne, Each swimming coach may have a different thought of when swimmers should have a break and for how long. My personal thoughts are that children aged 10 years should have a minimum 6 – 7 weeks off a year to allow their body to recover from the training and assist it to grow and develop without the requirements of daily training. This can be taken in different ways however I would encourage at least one period each year of a minimun 3 weeks off and then possibly a couple of 1 to 2 week breaks during the year. Other coaches have had great success by giving swimmers shorter periods of rest more often, so there is no set rule. If a swimmer has a break for 4 weeks, I would recommend having a swim in week 3 and then a couple of swims in week 4 to gradually get back into it and make sure they dont lose too much feel of the water. On top of this, there may be times when your child is sick during the year and it is important that they recover fully from any sickness so that their immune system can cope with the training that they are doing. This may mean missing a few sessions and then gradually getting themselves back into training over a one week period. If you haven’t already, I would suggest buying Swimming for Parents as this book will answer many questions you will currently have and will have in the future about your daughters swimming and her progression in the sport. 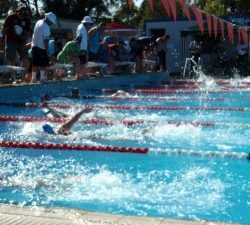 Swimming at the Olympics – What you can learn by watching it on television! Do I Have a Chance to Swim at 2016 Olympics?